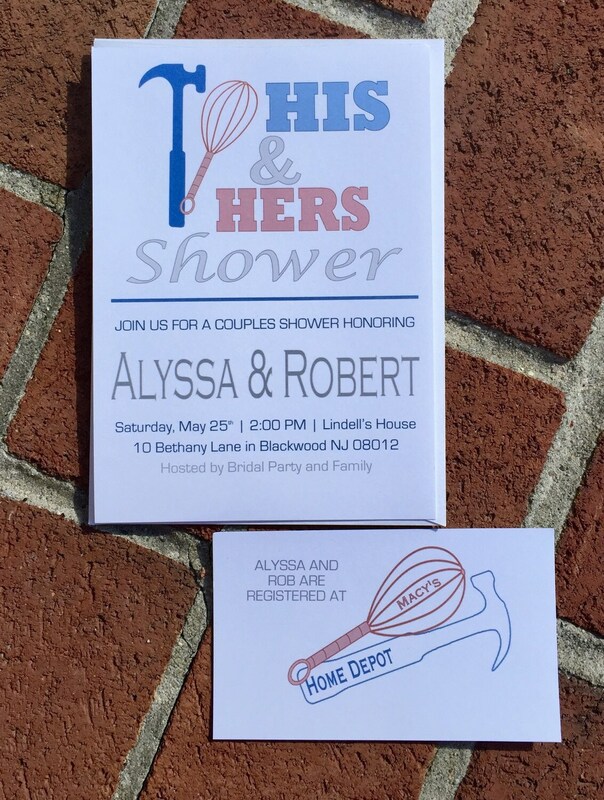 Custom, made to order, His and Hers (Couples) bridal shower invitations! 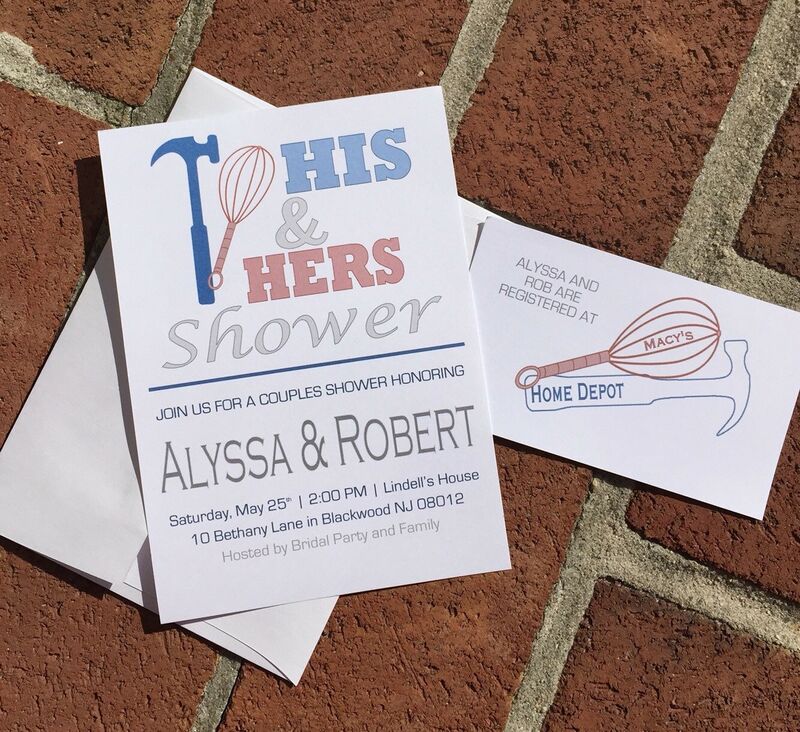 A couples shower is the new trend for bridal showers and these invitations are perfect for the occasion! 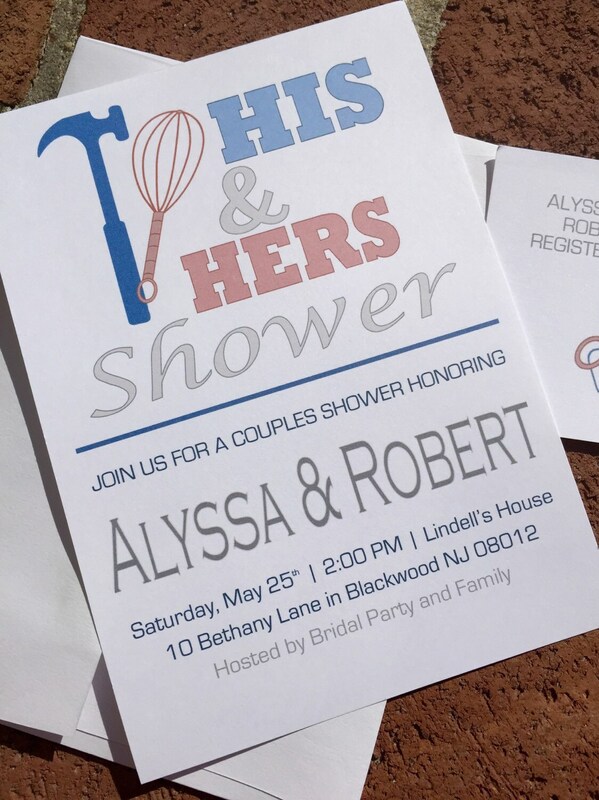 Any part of the invitation can be customized, just let me know colors and wording changes when you order. Loved the invitations I ordered! They were a great quality and an even better price. The turnaround was fast and the seller was wonderful to work with. Great to work with! 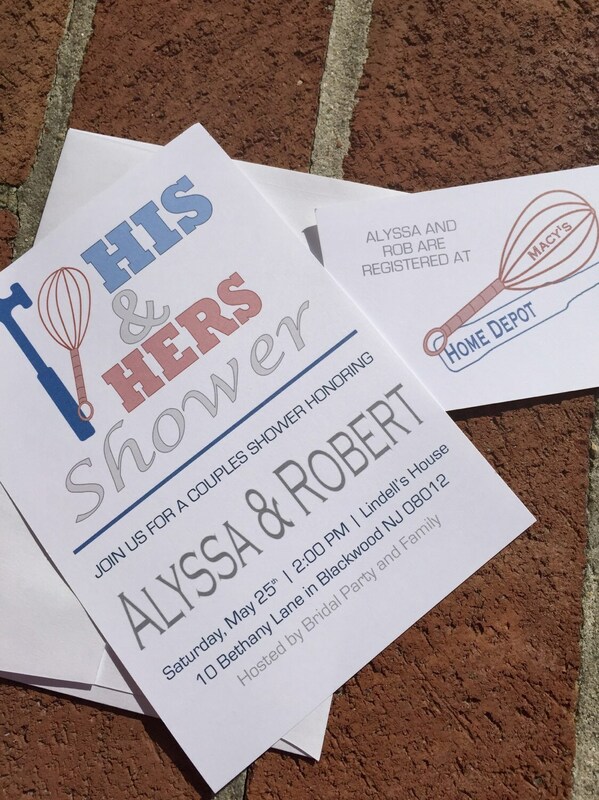 I needed invites last minute and Alyssa was so kind to get them done for me so quickly. She is also very responsive to messages. And her sets are so affordable!! I will DEFINITLY come back!